A clutter-free home brings many rewards, including the joy of being able to find papers easily, clean up faster, and envision a bright future. 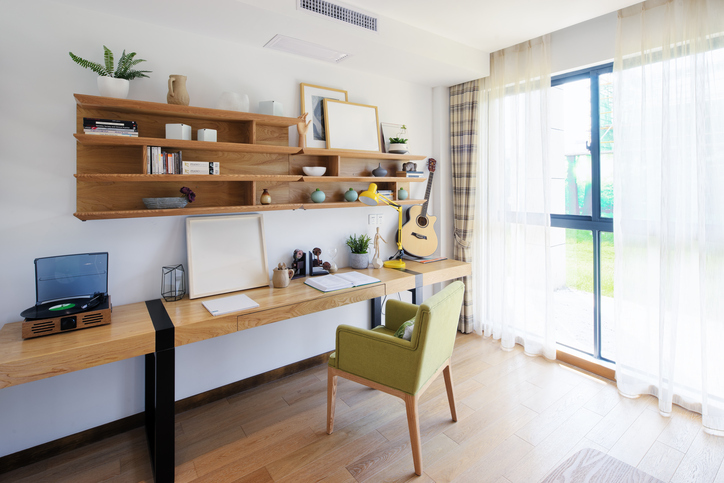 An organized home can lead to better health and wellbeing, increase your productivity, and give visitors a beautiful first impression. It’s easy to want a clean home, but it can be challenging to know how to make it happen. 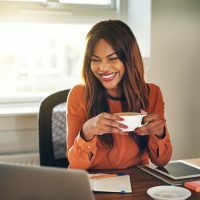 “It’s important to clean up and organize your home in a strategic way, ensuring that it stays relatively mess-free in the longer term,” says Sophie Kaemmerle, a home improvement expert with NeighborWho.com. If you’re not sure where to start, you could bring in a professional organizer to help. You might also do some research on your own. Consider this guide a step-by-step crash course to declutter and organize your home. Rather than taking on the whole house, tackle one room at a time. With each spot, throw out any trash first. Then clean surfaces like tables, shelves and cabinets. “Decide what needs to go and what stays,” Stoddard days. Designate a temporary storage space in your home where you can keep all items you want to donate. This might be a separate room, a box, or a bag. Take donations to charity when you finish each room so they don’t pile up. Start by clearing off the coffee table and end tables. Toss or donate old magazines you no longer need. Then go through movies, music, and books. If you haven’t used an item in the last year, consider giving it to a friend to enjoy. To keep an entertainment center organized, “first identify what belongs there,” says Felice Cohen, a professional organizer and author of “90 Lessons for Living Large in 90 Square Feet (…or more).” You might have a cable box, DVD player, TV, remotes and games. If the entertainment center has cabinets and doors, look for spots to neatly store everything you want to keep. If you have visible shelving, place remotes in a basket and group books together in a small section. For extra storage, use multifunctional furniture. A coffee table with drawers can hold coasters or dice for board games. “An ottoman that opens for storage is a great place to put a blanket or two,” Cohen says. Finally, sort through knick knacks and memorabilia. “These items may be the hardest to get rid of, as you may be reluctant to throw away anything with a good memory attached to it,” Kaemmerle says. If you can’t remember where certain pieces came from, consider getting rid of them. If you have more knick knacks that you want to keep but won’t fit in the room, put them in a box to consider later. In several months, look through the box to decide if you still want them. Find a home in a different room for anything you wish to keep. Starting with the countertops, get rid of anything you don’t use frequently. If you have a toaster or fruit bowl on display that you no longer want, give it away or sell it. 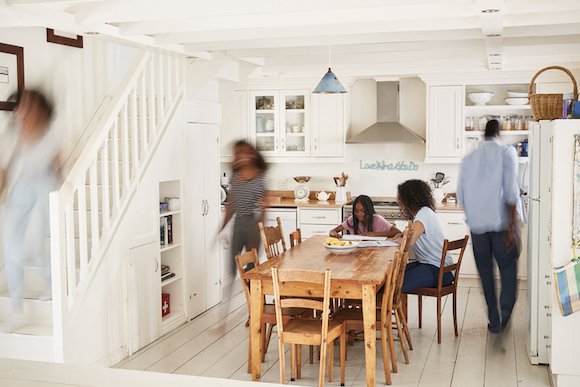 If your family tends to gather in the kitchen, create a command center for mail and papers. Add a calendar and shopping list to keep everyone up-to-date. Then go through kitchen cabinets. “Group all baking supplies and materials together and create a baking zone in the kitchen,” says Anne Blumer, a professional organizer and owner of Solutions for You. Keep all spices together, all canned goods in one spot, and dishes in another. Sort through items that tend to accumulate over time. Go through plastic containers and only keep what you regularly use. “Let go of any cookbook, gadget, dishware or ingredient that has not been used in the past year,” Blumer says. Use drawer organizers to separate silverware, measuring cups, small gadgets, and hand towels. If you have 20 spoons and a family of three, keep several in a drawer and put the rest in a storage room, hutch, or garage. Tackle clothes closets first, and go through every item inside. Make a pile for clothes you want to keep, items you want to throw out, and attire that can be donated. Then put back the clothes you wear on hangers and shelves. When sorting through dressers, keep only what you use or is meaningful to you. Get rid of pieces that are broken or worn out, such as old watches or scarves in poor condition. Roll up clothing in drawers, or use drawer organizers, to keep everything in order. In kids’ rooms, “toys are the worst clutter culprits,” Kaemmerle says. Use plastic bins, shelves, or stacking boxes for small pieces. Look through each toy and only keep what your child likes to play with and is in good condition. Look through the medicine cabinet to see what you have. “Toss expired medications, products and makeup,” Blumer says. 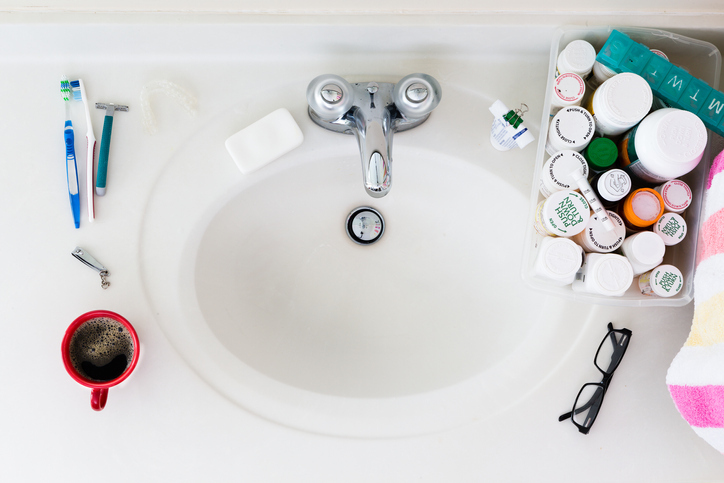 If you have duplicate toiletries and cosmetics, put the extra items in a travel bag to use during your next trip. If you have kids, keep a small basket of tub toys. Get rid of extra bath toys, and products you don’t like or use anymore. “Remove everything from the counter top for easy cleaning,” Blumer says. 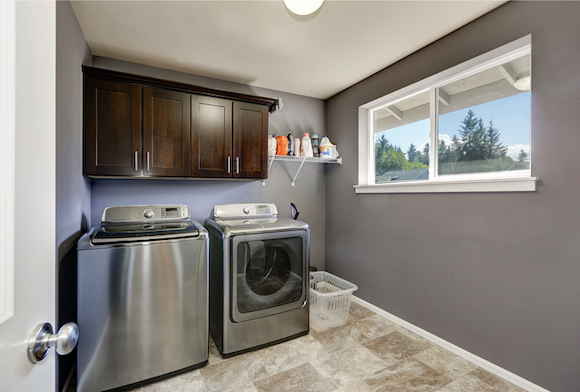 “Most laundry rooms only have minimal horizontal space,” Kaemmerle says. To avoid having the area become a dumping ground for laundry, make use of the vertical space. Put up a hook to hold a bag that is filled with clothes that need repair. Add shelves for cleaning supplies. Hang a stain chart on the wall so you know how to treat soiled clothing. Also think about using less products. “Do you really need three types of laundry soap, and fabric softener for the washer and dryer?” Kaemmerle says. Look for a laundry soap that works with all of your laundry. “After you throw out the obvious garbage, start organizing and throwing away unneeded recorders, books, manuals, scripts, and the like,” Stoddard says. Then move to your main workspace, which is usually the desk. 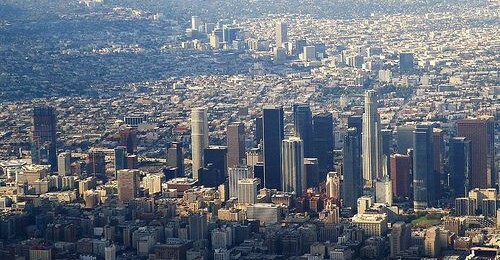 “The work desk should be the cleanest and tidiest part of the office,” Stoddard says. Keep pens together in a holder or drawer. Store papers in hanging files or on plastic shelves so they don’t accumulate on your desk. Once your desk is clean, wipe it off. Then clean the computer and all of its components, including the keyboard, mouse and monitor. If you have office supplies like printing paper, mailing envelopes, or extra rolls of tape, store them in a closet or cabinet. Keep the stash out of sight so you can work with a clear mind. “Start by emptying the linen closet,” Cohen says. Put everything on a bed and then separate items into groups, making piles for bed sheets, bath towels, hand towels, and face cloths. Go through each group and take out any ragged or old pieces. Use some as rags for cleaning and toss the rest. Then fold what you want to keep and put it back in the closet. To store sheet sets together, put a fitted sheet, flat sheet, and one pillowcase into the second pillowcase. 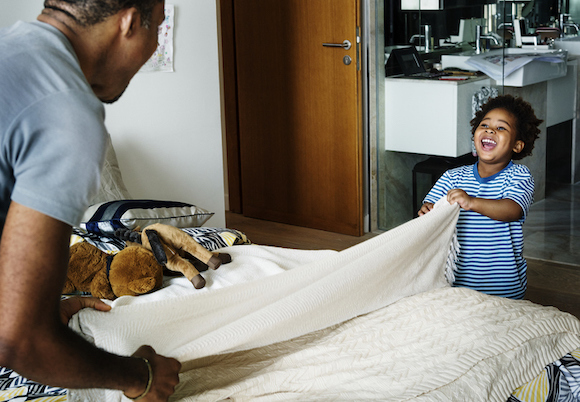 “A good rule of thumb is to have two sets of sheets for each bed,” Cohen says. 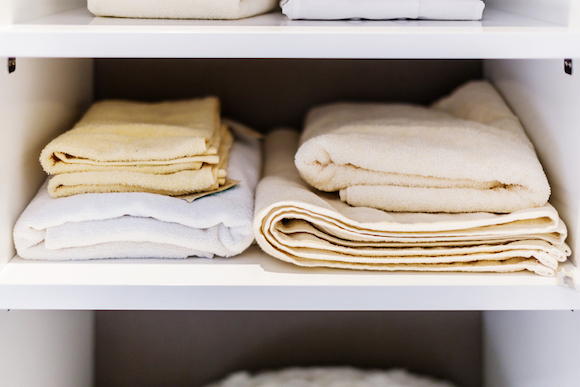 Stack sheet sets on the shelves, and then add the towels. 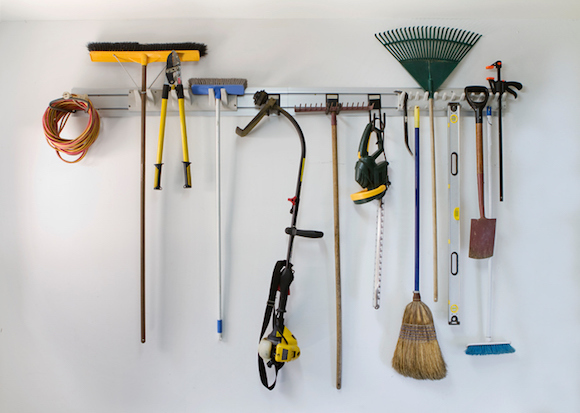 Start with a section of the garage, such as bikes or gardening tools. Sort through what you want to keep and get rid of any broken items. Then look for ways to store them neatly. Gardening tools could go on a shelf. If you have garden chairs or bikes and are short on space, add hooks to hang them up. Continue through the garage, sorting tools, boxes of clothing, and sports equipment. “Try to store as little as you can on the floor of the garage so you can regularly clean the floor,” Stoddard says. Add a hanging storage unit, a chest of drawers, or stacking bins to keep everything organized. The two minute rule. “If you can do it in less than two minutes, do it now,” Blumer says. Hang your coat up in the closet rather than throwing it on the ground. Make your bed, and toss or shred mail you don’t need. Store at eye level. Keep items you use the most where you can easily see them. Put your keys where your eyes will spot them every day, hang your hat on an eye-level hook, and store jackets in a closet by the front door. Store wisely. Keep items you occasionally use in storage boxes or bins. Add labels that clearly identify what the containers hold and are easy to see. Group boxes with like items together, such as holiday decorations, extra clothing, or winter gear. One in, one out. “When buying new things that replace something else, get rid of the replaced item,” Stoddard says. If you get a new TV, put the old one for sale on Craigslist. Get family members on board. 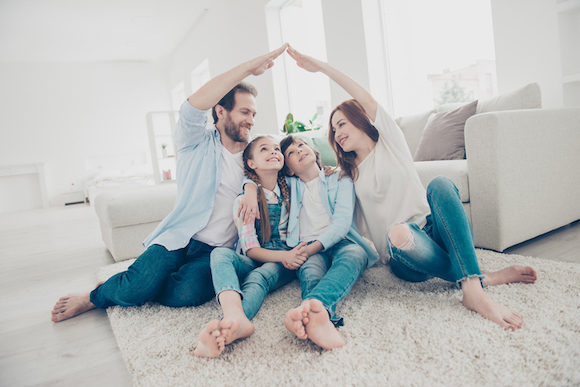 Once you have a strategy to keep the house clean, such as picking up for 15 minutes every night and deep cleaning on the weekends, walk your family members through the plan. “Get them to help out,” Kaemmerle says. 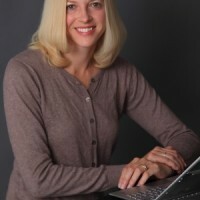 Assign tasks or make a chart that lists each person’s job to get everyone involved. Keep the KonMari method in mind. Founded by Marie Kondo, the KonMari method encourages keeping items that spark joy. As you make new purchases, think about only adding items to your home that will be appreciated and well used in the future.